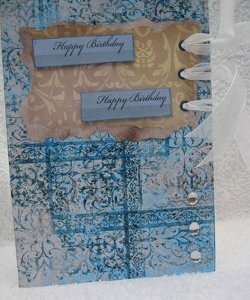 Eyelets are a useful addition to any card makers "stash", and they can be used in a multitude of ways. 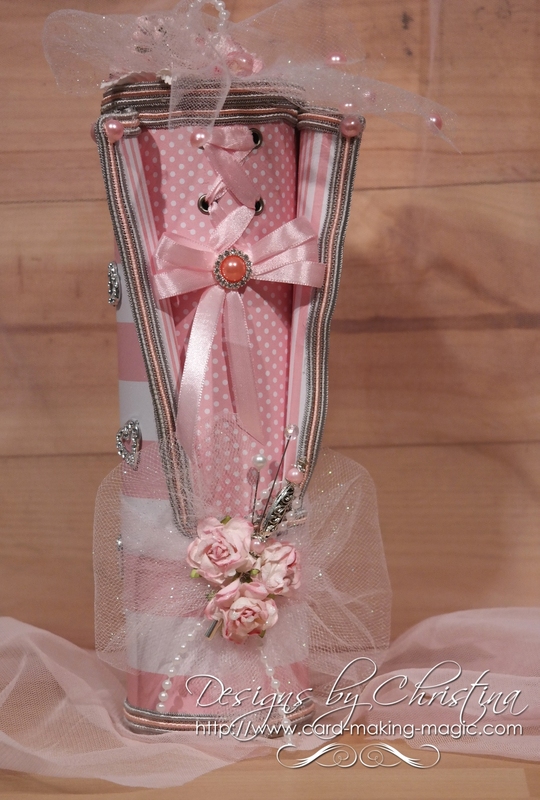 Try adding ribbon in beautiful colours to match or contrast your cards. Use these little additions, either as a way of attaching the ribbon, or threading it through the holes in a card. This picture shows the use of both together. A row of holes was made with the special setter tool, on the right of the card. The top three are then looped with white organza ribbon. The holes in the lower right hand corner are left open. Very simple, easy to achieve but oh! so effective. You can buy a simple setter tool, that is used with a small hammer, and this is sufficient to do the job. A hole is punched into the card. Pass the metal through and then set into the card, using the tool and the hammer. The back is curled under, with a tap of the hammer, securing it to the card. Choose your work area carefully though as you do not want to cause hammer rash on your best dining room table. 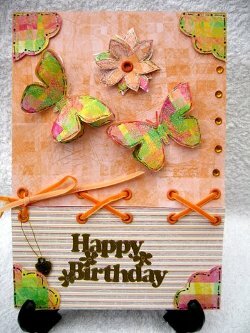 This card was made using two different patterned papers before gluing to the card base. The velvet ribbon was threaded through the holes and tied in a bow. A very effective look and the butterflies are decoupaged. There are lots more ways to use these and all you need is your imagination.